Hideo Kojima officially leaves Konami - An era ends and a new one begins — GamingWithSwag.com - Dads By Day, Gamers By Night. It has been reported this week that Hideo Kojima has officially severed ties with game company Konami, which many have speculated for months. Supposedly arguing over the budget and the timeline for Metal Gear Solid V: The Phantom Pain, Konami and the brilliant game creator could not come to an agreement. This resulted in Kojima leaving one of the most popular third-party video game publishers after being employed there for over two decades. Kojima is obviously known for his work on the Metal Gear series, starting with the original title on the MSX, NES, and Famicom systems. Known for a game that was way ahead of its time, Metal Gear took video games to a whole new level. Using storytelling and gameplay to make up for graphical limitations, Kojima forced the player to think with their wits rather than progress through the game guns a blazing. The tactical approach to Metal Gear was not seen before in an action video game, and received praise upon initial release. Adding in unique personalities, scientific and weapons theory, as well as major plot twists kept the player engaged at every turn. Arguably the best action game on the Sony PlayStation system, the battles with various bosses felt epic through dialogue and gameplay alike. A Japanese exclusive Metal Gear 2 was released, as well as a spinoff called Snake's Revenge. Following the 8-bit years, Kojima and Konami worked with Sony Entertainment to develop Metal Gear Solid to revitalize the series. The end result being one of the greatest video games ever to grace the Sony PlayStation platform and resulting in many more sequels and spinoffs. Kojima's Metal Gear Solid titles have always done very well for Konami, earning bot critical and fan praise alike. Selling millions of copies of each title, it's easy to see that anything Kojima touched for Konami turned to gold. Unfortunately this magic could not continue, and Kojima has announced that his own studio Kojima Productions is in the process of developing a new title for the Sony PlayStation 4 and PC platforms. 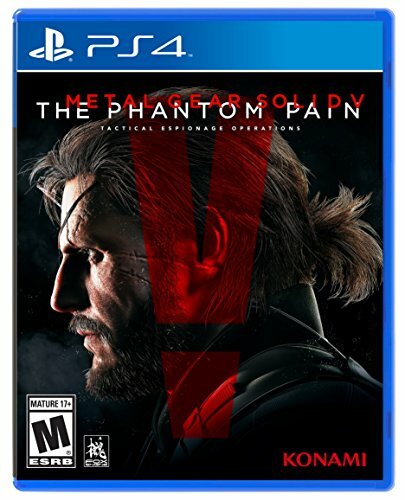 I have no doubt that this game will be compared to the Metal Gear Solid series, and wouldn't it be funny if it somehow continued the Metal Gear story in a round-about way? Or maybe Kojima takes a whole other approach and starts a new series fresh, free from the ties of Snake, Big Boss, Ocelot, and friends. Either way, I will be keeping close eyes on this project which is sure to be memorable. Happy 20th Anniversary Sony PlayStation!